Wicklow Bowl and Kidzone is a family run Bowling and Entertainment Centre located on the way into Wicklow Town from Dublin. They offer you all sorts of indoor entertainment all under one roof. They are located within walking distance of Wicklow town with ample parking. At Wicklow Bowl, the ground floor comprises of 12 Lanes for Ten Pin Bowling, traditional and American pool tables, simulators, air hockey and arcade games. The state of the art bowling lanes are fully accessible for wheelchairs and are fitted with side rails to ensure the best chance of a STRIKE every time. Wicklow Bowl have friendly staff who are happy to advise and assist you, whether you come for the ten-pin bowling or the thrill of the arcade games. Wicklow Bowl & KidZone is wheelchair friendly. At Wicklow Bowl they have 12 bowling lanes that have fully computerised scoring and also glow in the dark. They have lightweight kids bowling balls and ball slides and all lanes have automated bumpers for the kids. At Wicklow Bowl they do not recommend children under the age of 7 bowl and all children must be helped by parent/guardian when lifting the bowling ball. 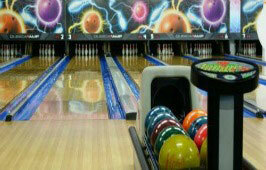 Single game of bowling anytime €5.00 per person per game. 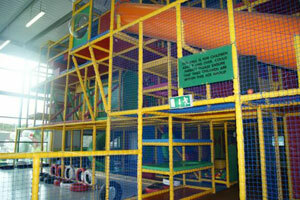 KidZone is Wicklow Town’s first indoor adventure play area for children under 12 years with a 15,000 sq ft indoor play area. With 3 separate areas for Under 2’s, 2 to 4 year olds and 5 to 12 year olds, they also have two mini football pitches, Formula 1 racing cars* and Bumper Boats* (* separate charge €2.00 per car/boat). The three tier play area with slides, chutes, tubes and more is designed to encourage use of both large and small muscles as well as independent activities and social interaction which are of great benefit to children. To name just some of the 50 different activities built into their play frame. 4 or more children any age: €6 each for 90 minutes. The Coffee Dock is open to serve you a selection of teas, delicious Bewleys coffee, sandwiches, wraps, scones & other sweet treats as well as a full hot food menu which includes pizza, chips, sausages & burgers as well as a weekly special. Why not have your Child’s Birthday Party at Wicklow Bowl? Choose a basic or premium party with midweek prices starting from just €9.95 per person. All parties include 90minutes play, food, drink & your own private party room! Includes 1 Hour Bowling, jugs of squash during Bowling and complimentary tea or coffee for parents of the Birthday child. 2 Slices of Pizza and drink of squash served at our Party Tables. BYOB Bowling – First Friday of the month. In house DJ playing the tunes you want. Access to the frame to spread the fun even further. €8 entry includes FREE Slushee. 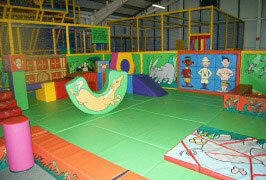 Suitable for 8 – 12 Year Olds 8pm-10pm and is fully supervised. Just give them a call and they will be happy to tailor a package to suit your group’s needs. 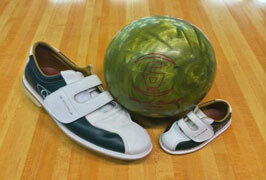 Choose from one activity (KidZone or bowling) or a combination of both. Pizza, mixed platters or sandwiches can also be included in your package.